Gustavo Rendon, left, and Larry Chapman were arrested in early February for trespassing on private property. The two men tried to put a sign opposing the city's use of eminent domain back on the land after it was removed. 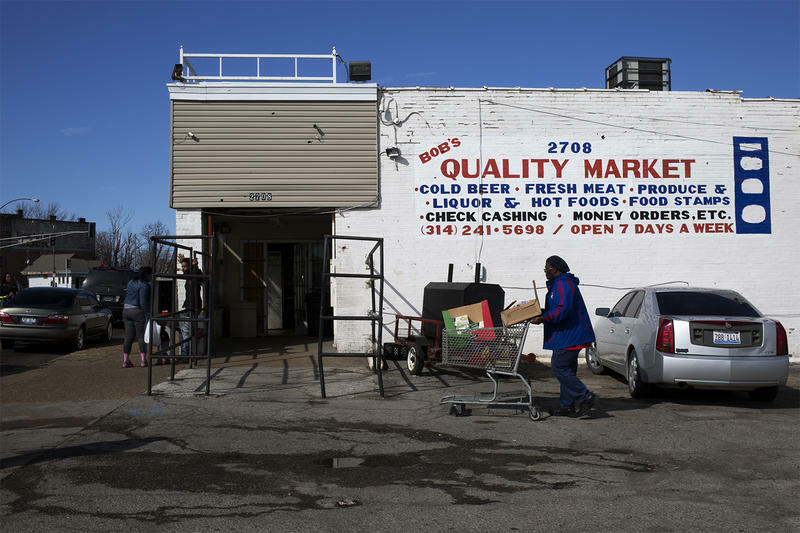 In a letter to the director of the National Geospatial-Intelligence Agency, a north St. Louis resident is urging the agency make a final decision on its relocation, citing "lives in limbo." 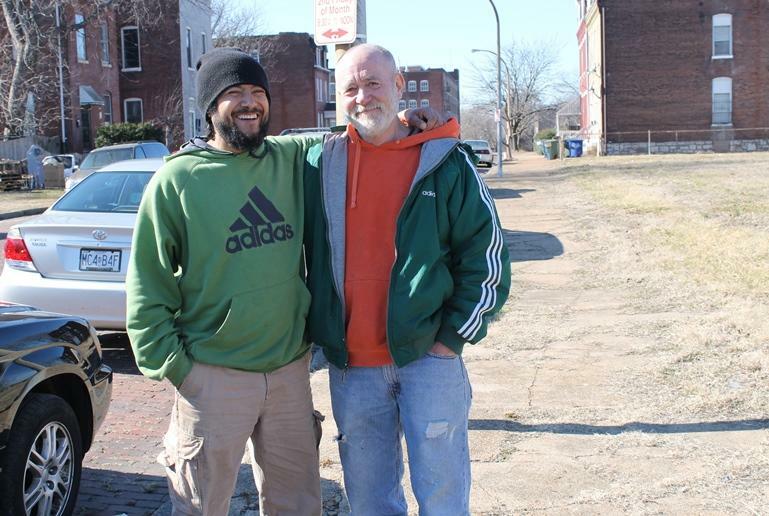 Gustavo Rendon and his wife, Sheila, live within St. Louis’ proposed site and are facing eminent domain proceedings brought by the city’s Land Clearance for Redevelopment Authority. In the letter to NGA director Robert Cardillo, Rendon said he plans to fast and pray until the decision is made. "It is our understanding that you have all of the information needed to make your decision," he stated in the letter. "We request that you go ahead and make it so we can move on with our lives." Rendon and north-side resident Larry Chapman were arrested for trespassing on private property just before a tour of the proposed site led by Missouri Congressman William Lacy Clay earlier this month. A hearing is scheduled for next month. The two plan to carry out a "prayer action" on the spot where they were arrested beginning on Friday evening. The site was once home to St. Leo’s Catholic Church. The vacant land is now owned by developer Paul McKee. The protest is unlikely to change the federal government’s schedule. NGA spokesman David Berczek said work is still being done on the U.S. Army Corps of Engineers’ final report on the four proposed sites. The Corps released its preliminary report last fall and a public comment period followed. "The team has been reviewing all those comments and then coming up with responses to them to put into the public record," Berczek said. The final report from the Corps is expected March 25. The report will include important information: the NGA’s preferred site for its relocation. But the final decision still isn’t likely until the end of May. "In the interest of transparency and really making sure we capture everyone’s comments related to this decision, the director and the team have decided to open a two-week comment period after the 25th of March," Berczek said. Meanwhile, the city’s eminent domain suit remains in court. 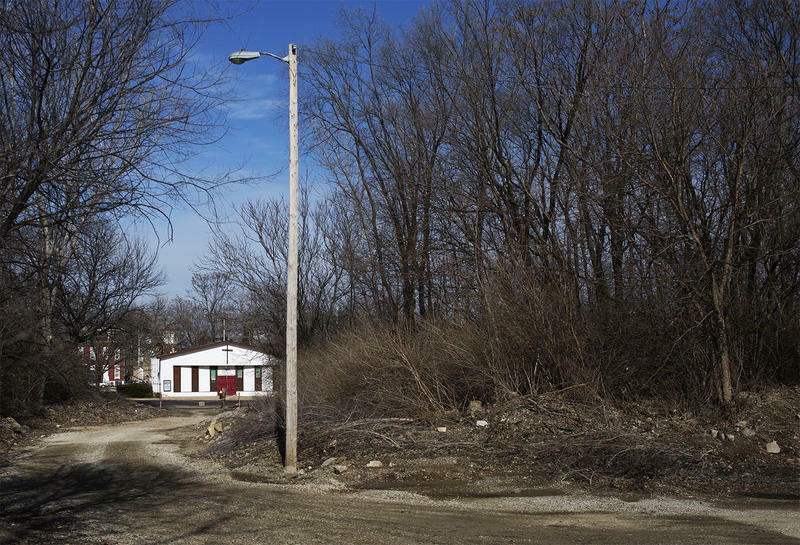 St. Louis officials have said they’ve offered residents fair compensation for their homes, even planning to move one woman’s home physically to another location. The NGA is not involved in that process. The federal government has made it clear it will only buy from one property owner, leaving the city to work out how to take control of the 100-acre site. Rendon said he expects the federal agency to choose nearly 400 acres of land in Illinois near Scott Air Force Base. "We hope Mr. Cardillo will make the decision a little faster, so that we don’t have to go through all this." Missouri Senate leaders are getting behind a push to persuade the National Geospatial-Intelligence Agency to stay in St. Louis. The federal spy agency is planning to move to a new site from its current home south of downtown. 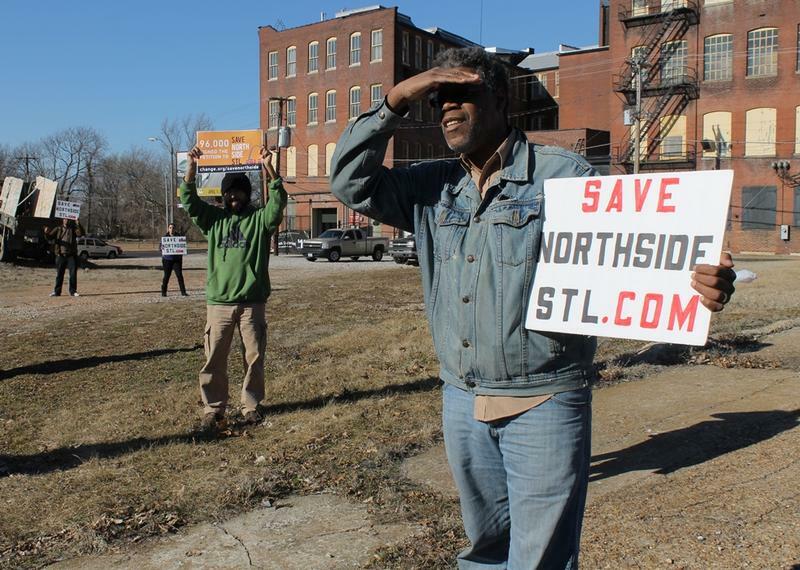 Mayor Francis Slay wants the NGA to move to the north side of St. Louis, on a site just north of where the Pruitt-Igoe housing complex once stood.